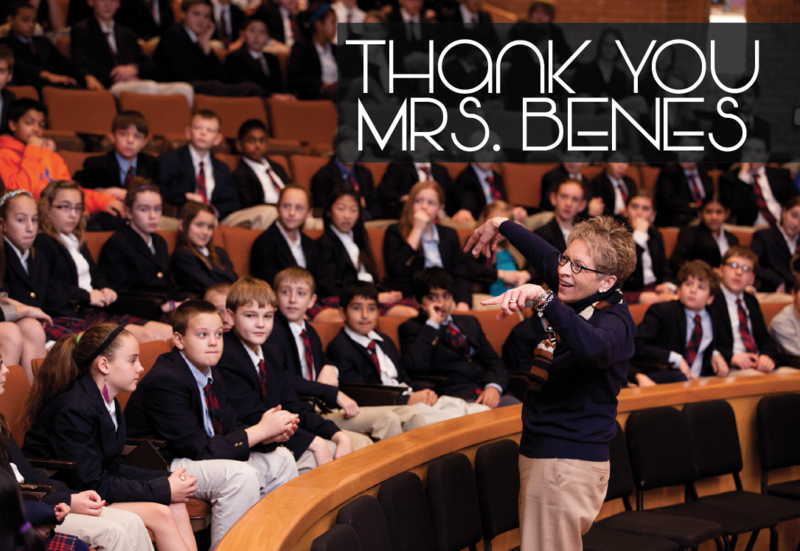 I write today with the bittersweet news that Bonnie Benes has shared with me that she will be retiring at the end of this school year. Over her legendary 34 year Prairie career, Bonnie has loved our students with all her heart and we are all better for having had the chance to work with her. She has had a tremendous, positive impact on decades of Prairie students and families including my own, and probably yours as well. 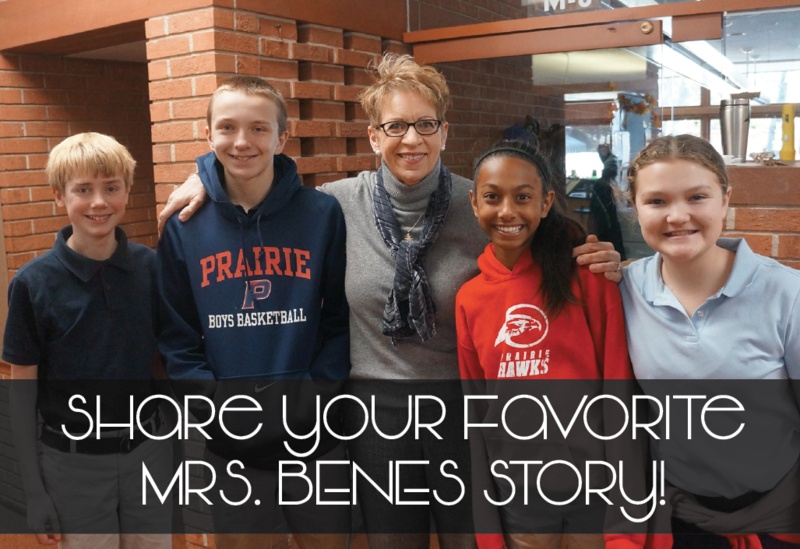 Bonnie joined the Prairie faculty in the fall of 1984 and became the Head of Middle School in 1999. Her decades of leadership have left an indelible mark on our school; she is a wise counselor, exceptional cheerleader for students, and a loyal friend. I feel fortunate that she will continue to be a part of our school as a community consultant (supporting multiple initiatives) and a sports fan. In June, we will celebrate Bonnie and thank her for her leadership and service as part of Graduation & Reunion Weekend. Bonnie’s departure creates a significant void, and to say she leaves large shoes to fill is an understatement. Because of the significance of her legacy and the importance of this leadership position, I have asked one of the best and most experienced teacher leaders I have ever known to step into a new role here at Prairie. I am pleased to share that Kathy Boero will become the new Head of the Middle School. Kathy has been the Head of our Primary School since 2000. Susan Holum will replace Kathy as the Head of the Primary School. Susan has been a member of our faculty since 1998 as well as English Department Co-Chair and Senior Teacher since 2010. Both transitions will take place on July 1st. Until that time, let’s enjoy and celebrate our time with Bonnie, knowing that in the future she will only be a phone call or seat in the bleachers away. Congratulations Bonnie!